A friendly group for all kinds of crafts. 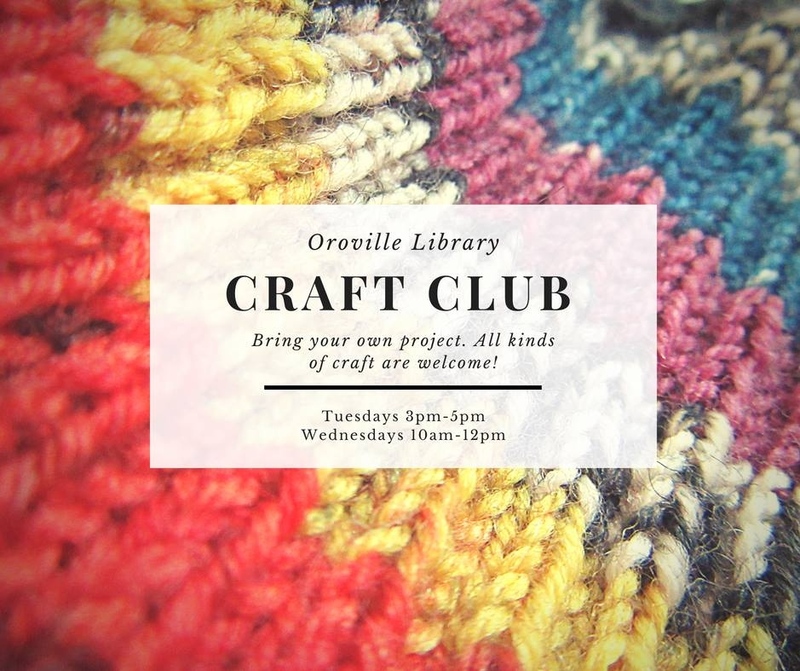 Bring your project and join in at Oroville Branch Tuesdays 3-5pm and and Wednesdays 10-12pm. 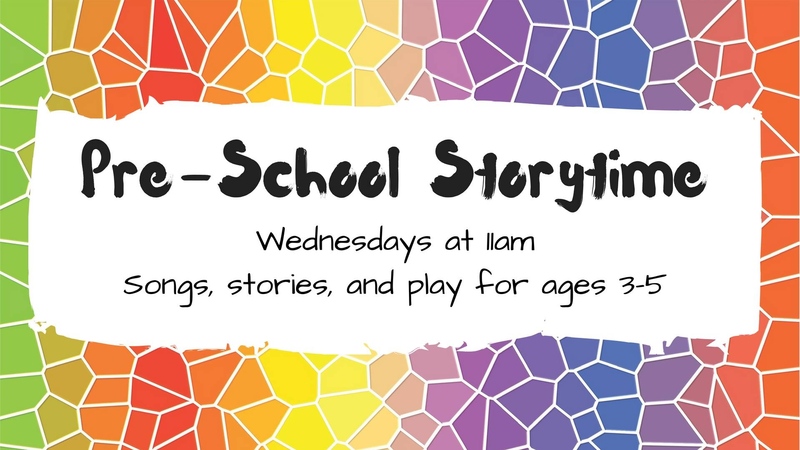 Songs, stories, and play for ages 3-5. 1st Wednesday of the month features a visit from the Toy Van-- borrow toys for FREE for one month! 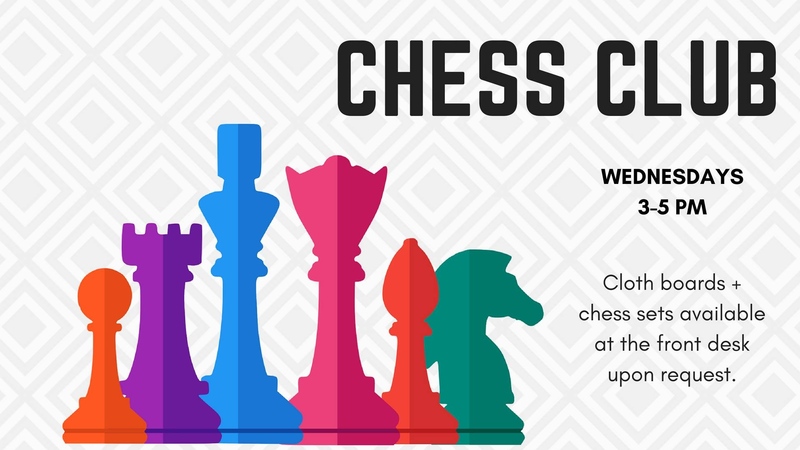 Join us for chess at the Oroville Branch every Wednesday evening from 3-5pm! Cloth boards and chess sets are available from the front desk upon request. 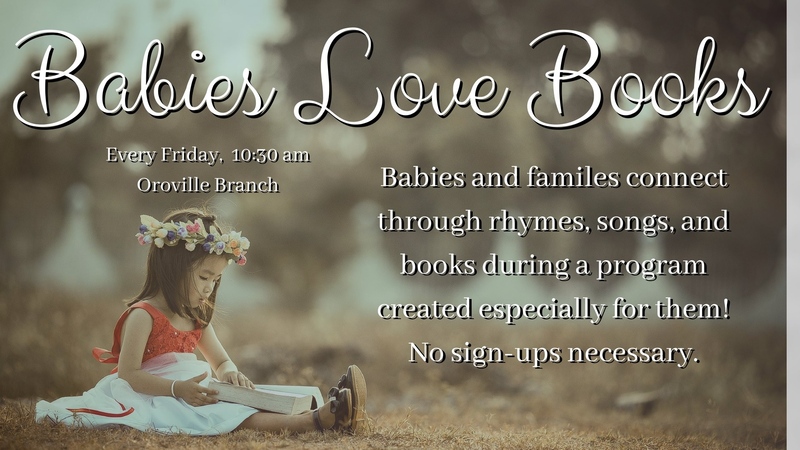 Babies and families connect through rhymes, songs, and books during a program created especially for them! No sign-ups necessary. 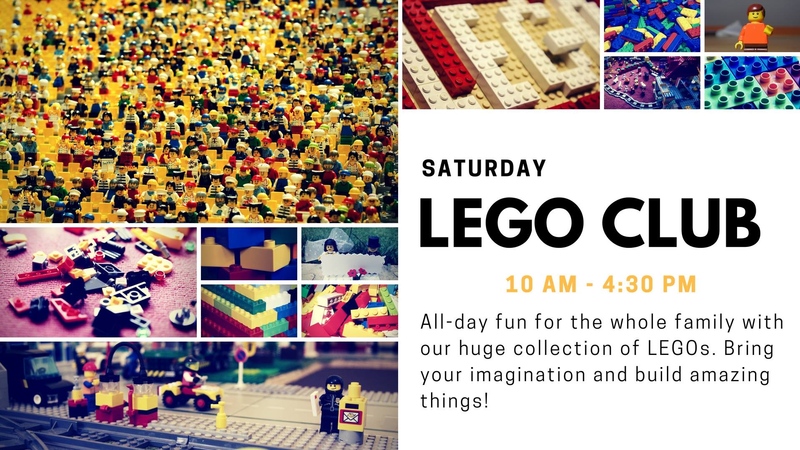 Fun for the whole family, all day, every Saturday. Barbara O’Neill’s fascinating FREE “Heart Health” presentation will be featured Sunday, January 6 starting at 3:30 pm at 3861 Detlow Rd in Yankee Hill. O’Neill brings scientific research to a practical, simple level that is within the reach of all. Food samples & recipes will also be provided. O’Neill is a gifted speaker on natural self-healing with an international impact through her live lectures and television appearances. Her “Heart Health” message is especially timely as the Yankee Hill & Concow residents cope with their losses in the recent fire. With upswings in disasters like the Paradise Camp Fire, business continuity plan is key. This 4-weeks 2 hours per week series will help you decide how to move forward with rebuilding your business successfully. Topics include: reviewing legal requirements i.e., license, fictitious name statement, seller’s permit; business valuation, relocation and restart; identifying your business model; opportunities to reinvent your business; maintaining your customers and identifying new markets and customers; steps for putting together your recovery plan; access to grants and loans; identifying and addressing financial obligations; and resources in your community. This training will help you complete a workable plan that can easily be followed and visited regularly to ensure direction; and guide you through the completion of a plan to address your business disruption for rebuilding immediately, and accessing capital if needed. This workshop will introduce you to legal principles and considerations likely to be encountered while converting your ideas to assets; requirements and procedures associated with protecting an invention (patent); and a brand (trademark) and transfer-ring intellectual property rights (either acquiring or conveying ownership or use rights by assignment or license), or dealings with others, such as manufacturers and distributors. Time permitting, enforcing (or defending against) claims of possible infringement will be discussed. This class does not constitute legal advice. Join OBGEC's own Robert DeSotle as he educates on the basics of California's favorite type of tree: Conifers! The class will include their natural history as well as their evolution into our winter traditions. Give blood, save a life at Enloe’s Blood Drive on Jan.16, from 11:30 a.m. to 5:30 p.m. Be sure to bring a photo ID, drink fluids and eat a meal within four hours before giving blood. Donors must be 17 to adult (16 with signed parental consent form), at least 110 pounds and generally healthy. They will be taking appointments every 15 minutes at the Enloe Conference Center, 1528 Esplanade, room 101. 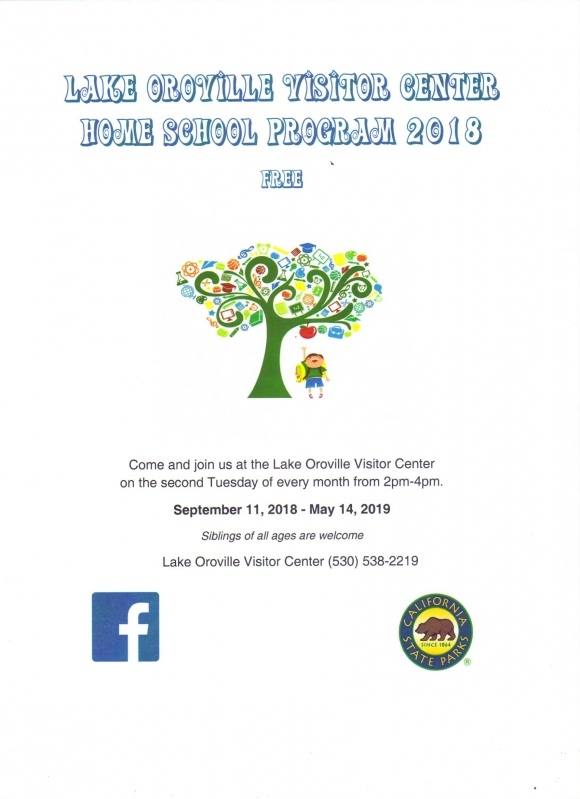 For more information, please call Margie Rackley at (530) 332-6444. Are you one of the estimated 43 percent of Butte County adults living with pre-diabetes? You may be and not know it, putting yourself at risk for heart disease, stroke, and other chronic illnesses. Take control of your health! Learn about pre-diabetes, diabetes risk factors, how to manage your diabetes if you have already been diagnosed and more at our next Pre-Diabetes Class. It takes place at the Enloe Conference Center, 1528 Esplanade, room 101. Register at www.enloe.org/events; $10 per person. 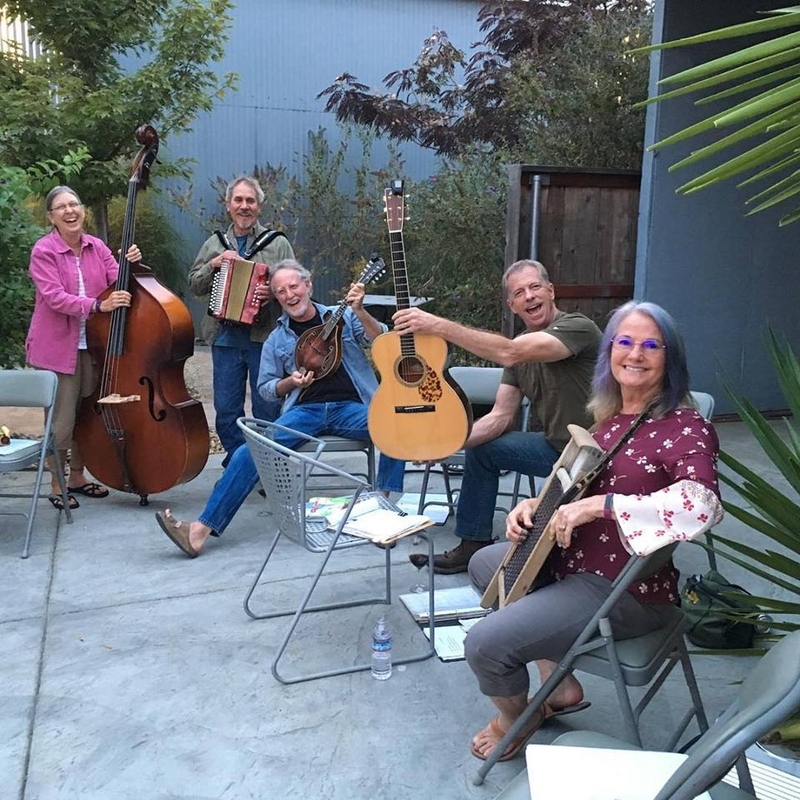 The Oroville Piecemakers Quilt Guild will hold our first meeting of 2019 on Thursday, January 17th, at the Palermo Grange (7600 Irwin Ave) and welcomes anyone interested in the art of quiltmaking to join us. Our speaker is Jennifer Rapacki, who hails from Denver CO (www.jenniferrapacki.com). Her talk is titled "Creativity Unleashed: Modern Technology for Quilters" in which she discusses the intriguing intersection of traditional quilting techniques and technology-driven designs. Come start the new year with some quilting inspiration! Doors open at 9am for pre-meeting activities and socializing; the meeting starts at 10am. Explore Butte County is excited to announce Butte County’s inaugural Restaurant Week, January 18-27, 2019! Butte County exemplifies how seemingly contrasting characteristics come together perfectly. From the rural to the urban, farm to city, and valley to mountains, Butte County comes together to create a truly special experience for visitors and locals alike. We believe the story of our area can be told through food. That’s why we’re excited to announce this year’s theme of PERFECT PAIRINGS. Enjoy specially created pairings at 12 restaurants across the county and taste the best food the region has to offer! Out of the Ashes comes the Northern California Ballet to perform The Nutcracker with the Paradise Symphony Petite Orchestra (conducted by Dr. Lloyd Roby) performing the music of Tchaikowsky. Choral ensemble under the direction of Sam Gronseth. Artistic Director: Trudi Angel. Previously purchased tickets for December performances are still valid. Tickets available at Bamford Family Farms or by calling (530) 370-0703. 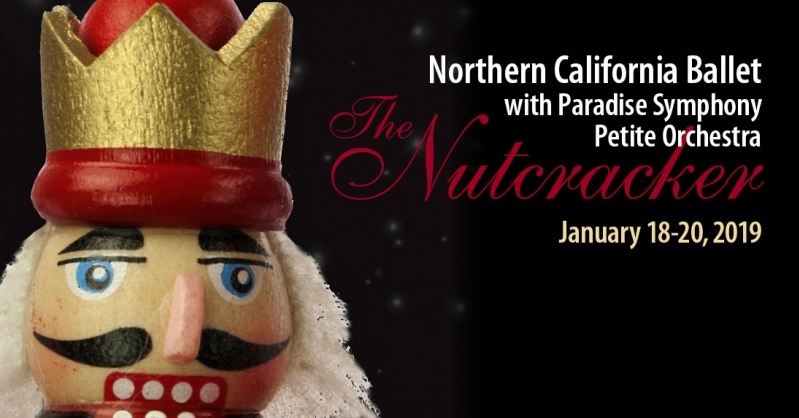 Northern California Ballet with Paradise Symphony Petite Orchestra presents "The Nutcracker"
America's favorite improv comedy group is back at Gold Country Casino Resort on January 19th, 2019! You've seen them for years on TV and now's your chance to see their hilarious antics LIVE! 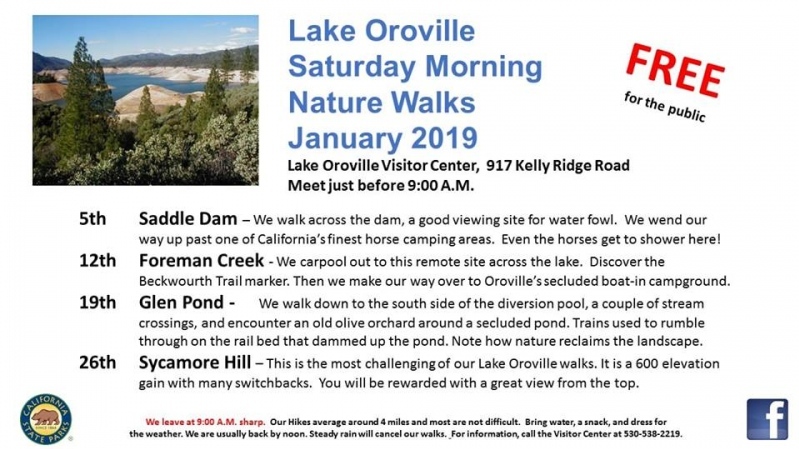 Oroville, CA Ì¶ Annually, the Dr. Martin Luther King Jr. Steering Committee hosts a Pancake Breakfast & Scholarship Awards event on Martin Luther King Jr. holiday. 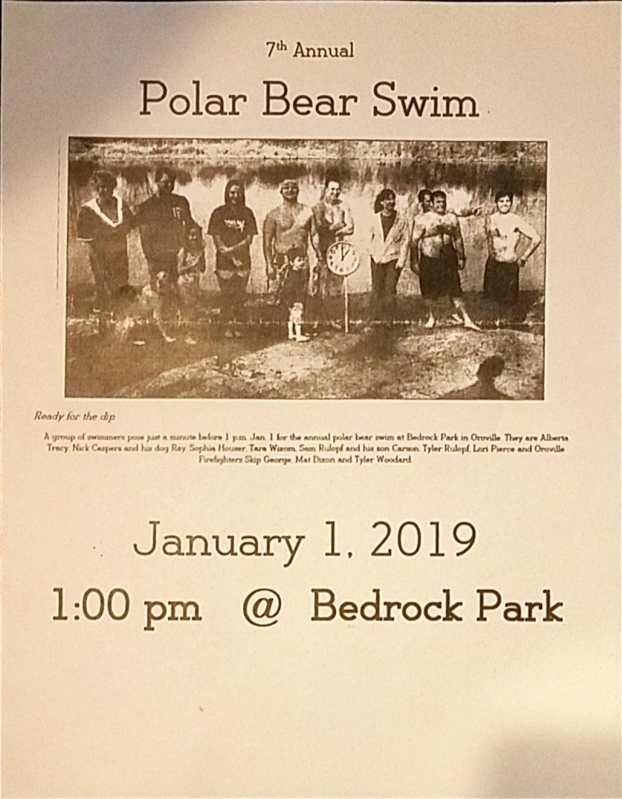 This year the event will be held on January 21, 2019 at the Southside Oroville Community Center located at 2959 Lower Wyandotte Rd. This event begins with a Pancake Breakfast starting at 8am-10am followed by a Program inclusive of a keynote speaker, a reading of the “I Have a Dream” speech, singing and praise dance selections from local churches, raffle items giveaway and a Multi-Cultural Scholarship Awards presentation. This year, the Dr. Martin Luther King Jr. Steering Committee will award six local senior high school students college bound, scholarship funding. 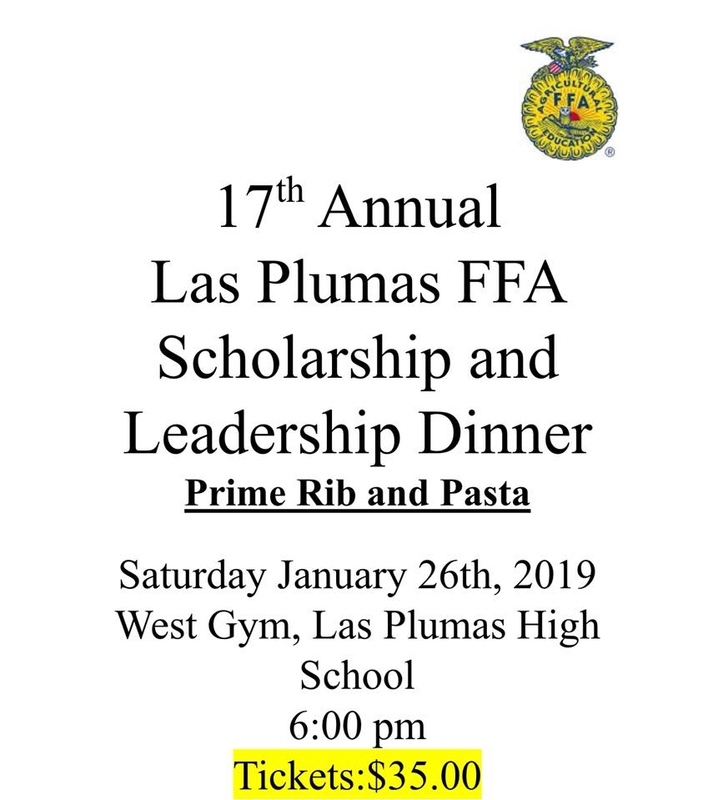 This event and scholarship funding would not have been made possible without the generous donations from local business sponsors and community donations. 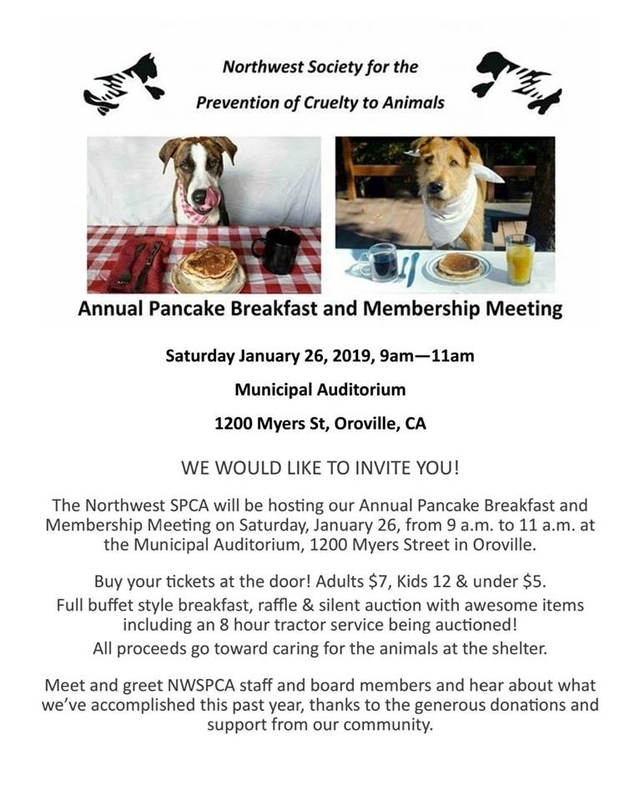 Kevin Garibaldi, a Chico based Chef and student crew will prepare and serve breakfast at 8am. The Program will start at 10 a.m. Tickets for the breakfast are $5 each at the door. This year’s big ticket raffle item is a 50 inch color T.V. For more information call Pastor David Goodson @ (530) 828-9759. 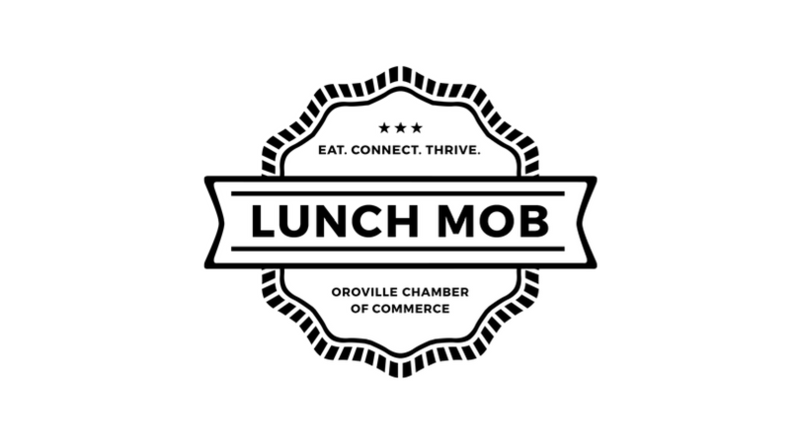 Join us for the first Lunch Mob of the New Year! This month we will be meeting at Papacito's Mexican Grill & Cantina. Use this opportunity to meet new people and create new business connections. Attendance is free, just purchase your own lunch. 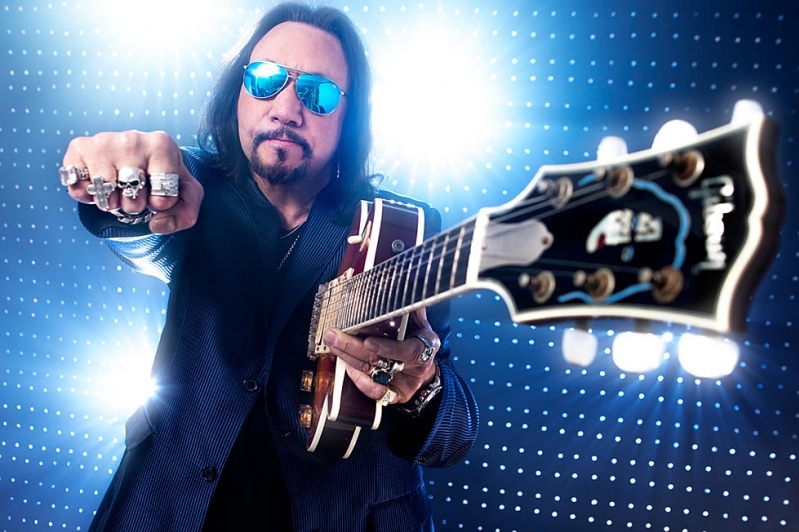 Considered by those in the know to be the musical genius behind KISS, Ace “Space Ace” Frehley was an original member of the band when it formed in 1973, and was a mainstay of the group until his departure in 1982 to pursue a solo career. Having written and recorded some of KISS’s most identifiable tunes such as Cold Gin, Shock Me, Parasite, Rocket Ride and New York Groove, Ace was more known for his blistering guitar licks, and his patented smoking guitar that added to the band’s over the top stage antics. Ace’s music now brings to the table a storied legacy of songwriting, musical maturity, and youthful exuberance that when combined, form a mixture that longtime fans are sure to embrace. General Admission and Balcony $25! One Brewery VIP Suites: $300. Guaranteed luxury seating for up to 10 guests. 1 – 5 people, 1 pitcher of draft beer and 1 large pizza. 6-10 people, 2 pitchers of draft beer and 2 large pizzas. Beer may be substituted for House Wine or House Champagne. No substitutions for the pizza. Celebrate the many ways art can heal. Come for an evening filled with artwork, music and more at the annual Celebration of Healing Arts. Join us as we celebrate our 2018 Healing Art Gallery artists and the new “Celebration Bell” installation. 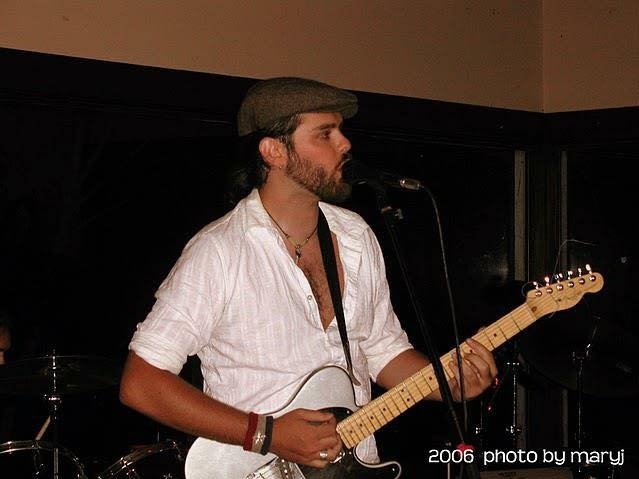 Also, enjoy live music and special performances by survivors and caregivers. Light food and refreshments will be on hand at this free, public event. 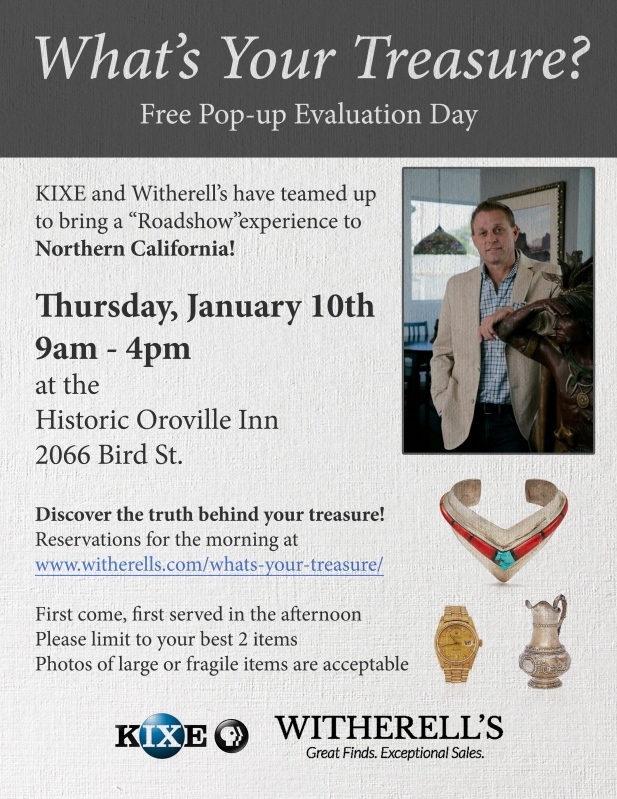 For more information, call (530) 332-3856. Please join us at the Ehmann Home on Sunday, January 27th for the annual Butte County Historical Society Volunteer Appreciation Luncheon. All you need to bring is your appetite! Through the years our organization has been blessed with many dedicated and talented volunteers. They are the back bone of our Society and this our opportunity to publicly say "Thank you!" The event begins at 1:00 pm. 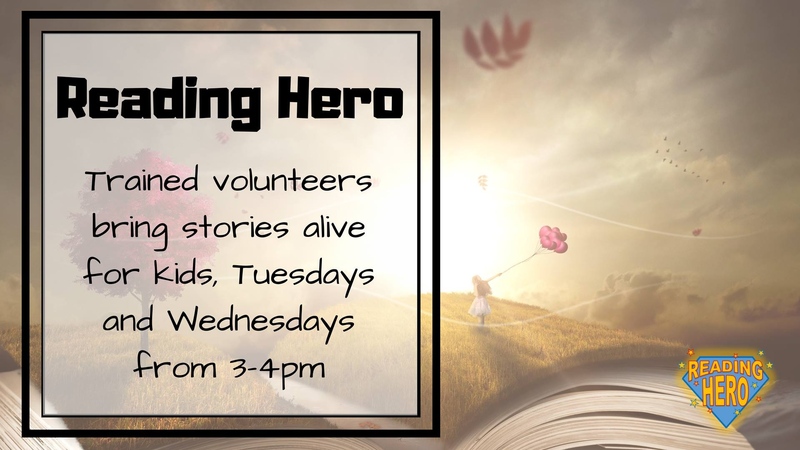 All volunteers are welcome, past, present and potential! A representative from California Department of Tax & Fee Administration will provide information on basic sales and use tax requirements including, How To: acquire sales permits; prepare resale and exemption certificates; determine what is taxable and non-taxable; file your sales and use tax return electronically; identify your deductions, exemptions, and tax rate; become an eClient; file and pay online; maintain adequate records; navigate the application process; understand the definition of what is a sale, and other important facts and responsibilities of a business owner. Cost: $25.00 for Chamber Members or Sutton Hague clients and $35.00 for non-chamber/clients.